Akwa Ibom State Polytechnic, #AKWAIBOMPOLY ND full-time admission list for the 2018/2019 academic session has been released. This is to inform all the candidates that participated in the Akwa Ibom State Polytechnic (AKWAIBOMPOLY), Ikot Osurua, Post UTME screening exercise that they can now check their admission status. SEE ALSO: Akwa Ibom State Polytechnic HND Admission List. 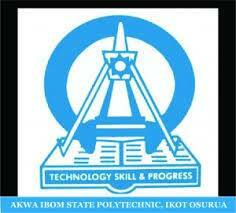 Akwa Ibom State Polytechnic ND Admission List. The under-listed candidates have been offered Provisional Admission for ND Programmes into Akwa Ibom State Polytechnic (AKWAIBOMPOLY) for the 2018/2019 Academic Session. Successfully admitted candidates are advised to ACCEPT or REJECT their admission offer on JAMB CAPS. Congratulations to all the candidates successfully admitted into the Akwa Ibom State Polytechnic ND admission list for the 2018/2019 academic session.